The holidays can be stressful. Whether you’re introducing your family to your significant other or thinking about how you’re going to host your family, take a deep breath. Grab a cup of calming tea and take a look at these helpful reads. From the holistic psychology expert and author of the mind-body-spirit classic Be Like Water, comes “a serious breakthrough in tapping the body-mind connection” (Carl O. Helvie, RN, PhD, host of The Holistic Health Show) with revolutionary methods to help you find the physical and psychological energy you need to live a vibrant life.Have you ever told yourself to power through and put mind over matter—but found yourself hitting a wall, day after day after day? We’re all familiar with this positive thinking approach for managing our lives and getting through rough times. Ironically, these methods often fail us because we end up wearing ourselves down by the effort it takes to constantly maintain such an upbeat outlook. 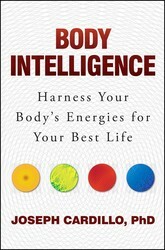 So what if instead of working to fix our mindset for better energy, we synced our body’s energy to create a better mind? Discover how to tap into your extraordinary human capacity for connection and healing, using astonishing new findings about the miraculous power of group intention and its boomerang effect, in this new book by the author of the international bestsellers The Intention Experiment and The Field. What we send out into the universe comes back to us, magnified. 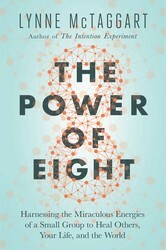 Although the power of intention—the energy of positive thoughts—is widely accepted as an influential force in transforming lives, the exponential power of group intention has never been explored, until now. There are many things that are easy to be grateful for—a beautiful wine, the adorable kitten purring on your lap, the ray of sunshine after a long dark winter. But what about when life is hard? Is there something to be grateful for within the grind, a lesson to learn when life hands you lemons? A twist on the classic gratitude journal, this journal focuses on the positive side of every experience. 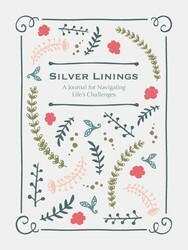 Included are prompts to help you see the silver lining in life’s challenging moments and quotes that get you through bad days. Using a combination of lined pages, bullets, and blank pages, with quotations matched with related prompts, this beautifully designed journal will help readers find the bright sides of the worst situations. In the spirit of The Soul Searchers Handbook, this guide offers a fresh approach to healing crystals with advice for selecting, preparing, and using crystals for meditation and energy healing.If you’re feeling worn out, uninspired, and unmotivated, you can change your energy with the help of crystals. 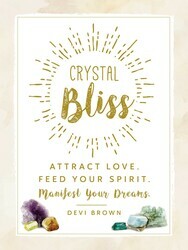 Crystal Bliss provides you with everything you need to harness the innate energy and vibrations of crystals. This guide walks you through the process of selecting crystals, cleansing and preparing them for use, and incorporating them into your meditation and energy healing process. With the help of Crystal Bliss, you can learn how to boost your own energy, beat back negative vibes, open your heart to love, manifest wealth, and promote good health. 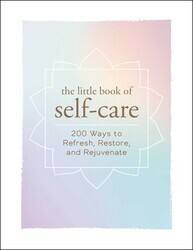 This beautiful, inspiring book features 100 accessible activities that help you reconnect with your body, mind, spirit, and surroundings, and leave you feeling refreshed and ready to face the world again.Self-care is an essential part of wellness. From self-massage to meditations to decluttering, The Little Book of Self-Care provides relaxation exercises to help you focus on your own personal needs in an enjoyable way. By caring for yourself, you’ll learn how to care for the world around you. 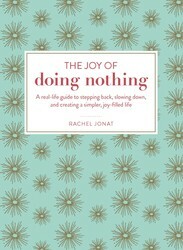 Fight back against busyness and celebrate the pleasure of doing nothing in this new guide that helps relieve stress and increase happiness in your life.In The Joy of Doing Nothing you’ll discover how to step away from everything you think you have to do and learn to live a minimalist life. Rachel Jonat shares simple strategies to help you stop overscheduling, find time for yourself, and create moments of calm every day. You’ll learn how to focus more on the important aspects of life, such as family and friends, and scale back your schedule to create more time in the day to care for yourself. 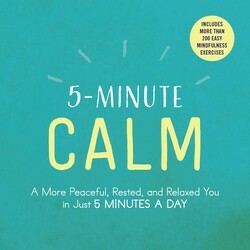 This quick, portable guide features more than 200 practical, effective ways to calm the mind, reduce stress, and erase tension in your body in less than five minutes.In 5-Minute Calm you’ll learn to relax your anxious mind and release tension in your body through quick and easy mindfulness exercises and techniques. 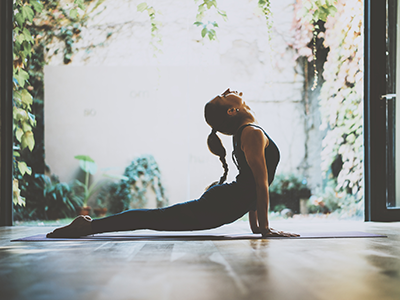 Through guided breathing, meditation, visualization, and more, you’ll find a place of calm in just five short minutes. This newfound peace can allow you to reengage with the world in a meaningful, productive way. Whether you’re facing a frazzled morning at home, a hectic day at work, or a daunting project deadline, this on-the-go stress-reducing guide can help you disengage for a few minutes, find a moment of peace, and get back to your day. Discover simple ways to be happier in your everyday life with these hacks that encourage positive thinking to improve your mood and outlook in any situation.Everyone wants to be happier, but often many people don’t know where to start. 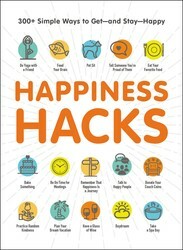 In Happiness Hacks, you’ll find 300 quick and easy ways to increase happiness in every area of life, including improving relationships, finding joy in your career and workplace, and developing a supportive community. From handling difficult situations, seeking personal growth, and discovering ways to share enjoyment with others, this book can teach you to hack happiness, think positively, and find more satisfaction in your everyday life. Haley Doran is the social media marketing associate at Simon & Schuster. A Broadway lover, book worm, want-to-be coffee connoisseur and proud shih tzu owner, she's always ready for her next adventure.